We added Progeny Press e-Guides to our summer reading repertoire and excited to review The Scavengers – eGuide! Honestly, I had never heard of this book or Progeny Press before so this was new to me. I am so glad for this opportunity! This is my first review for Progeny Press so I didn’t know what to expect. However, I was pleasantly surprised how easy it was to use, especially the interactive guide. Progeny Press designs study guides from a Christian perspective. The owners, Michael and Rebecca Gilleland, have a mission to teach children to think clearly and understand literature while relying on scripture for the ultimate truth and values. Progeny Press has grown from 18 study guides in 1993 to over 115 study guides in 2018. The owners still edit and review each study guide to ensure high-quality standards of literary analysis. So, why would you want to purchase an Interactive Study Guide? First of all, it reinforces a student’s learning. It gets them to think about the story and it’s outcome instead of flying through it without critical thinking. When you purchase the eGuide, you get two files. The first file is the interactive guide and the second is an answer key. ‘Interactive’ simply means you can edit the guide, or answer the questions directly in the file. It’s not a static pdf file anymore. How convenient is that?!!! I really loved this feature as it minimizes wasted paper. However, you can still print it if you prefer. You can buy The Scavengers book directly on their website HERE. Here’s a quick synopsis of the book. A girl is living in a dystopian world of OutBubble with her family in uncomfortable and dirty conditions. Maggie (aka Ford Falcon) is a great narrator in First Person as a 12-year-old. She is a bit mature, but that would be expected when surrounded by adults and learning to live in an uncertain time. When the going gets tough, Maggie has to make difficult choices and take charge of her unique situation. I had never heard of The Scavengers Story but my son and I both enjoyed it. He is going into 6th grade, so he’s technically not in middle school (according to the state of PA) but this was certainly at his level. This is a great read for an upper-elementary or middle-school aged daughter as well. The Scavengers story is quite captivating and a great novel to keep your child’s attention. My son didn’t seem to mind that a girl was the main character. He read the book on his iPad via the Kindle app and then answered the vocabulary and questions on the computer. We did try to use the interactive feature on the iPad but didn’t have the correct app loaded. It was easy to shift gears and get on the computer to enter the answers. I would suggest if you want your student to answer questions on an iPad, I would suggest confirming you have editable readers such as Adobe Acrobat. I love everything tech. Since I was in my early 20’s, I have spent a HUGE amount of time on the computer fixing problems and researching solutions. Yet there are a lot of homeschoolers who are concerned about too much tech. And, rightly so! Maybe you’re concerned about the communication and creativity skills kids are lacking today. I’m here to tell you, tech is here to stay. Your students can succeed by using their creativity with these 6 simple tech tools for your teaching toolkit. It’s our job as parents to monitor all activity with our kids, whether it’s during homeschooling, extracurricular activities, or church. That’s why homeschooling is so unique and successful. You define the rules — you are the principal of your homeschool. The Principal decides how to have a healthy balance of education, play, and faith. The good news is, with technology, we can combine all three of these elements to further enhance our lives. Here are 6 simple tech tools to add to your homeschool teaching toolkit. These tools are easy to implement, enjoyable to use, and encourages a love of learning. E-books play an important role in our homeschool. There are several reasons why we use the e-book format as our Charlotte Mason book collection. We have used Kindle Fires and iPads as our tablets but there are so many choices to choose from. You can get an Amazon Kindle Fire for $50! Audio can be purchased with text highlighting for struggling readers to follow along. Easy access to links for online courses, web-based books, and Youtube videos. Teaches self-control through body language and communication. I am a HUGE fan of SIRI! I used to be an Android user until a few years ago after getting frustrated with the fast bleeding of battery life. So, I switched and haven’t looked back since. I use AI (Artificial Intelligence) as much as I can. You can retrieve Siri simply by holding down the Home button. Click HERE for a nice list of Siri commands. For Android phones, “Ok Google” should activate Google Assistant. Go HERE for a full list of Google Assistant commands. Well, there you have it! These are my ‘go to’ 6 simple tech tools for your homeschool teaching toolkit. These simple teaching technologies will make your life as a mom and teacher SO much easier. Trust me. They’re super easy to use (especially with Siri or Google Assistant! ), fun to implement, and you’ll notice your kids won’t feel forced to learn. Before you know it, they’ll be communicating with you all of the creative ways on how they can further use these awesome tech tools! I am excited to share with you a great way to learn more about our wonderful American Holiday History through the White House Holidays Unit Studies from Silverdale Press LLC! 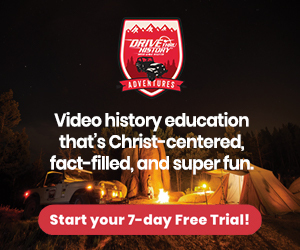 These unit studies area unique way to shift gears from your typical history studies and enjoy some awesome facts and figures from our past. Don’t miss out on my Silverdale Press White House Holidays Unit Study Review, you’ll be glad you did! First of all, here is a rundown of expectations on these unique and intriguing unit studies. The activities are geared for all ages, with a section specific for K-6 and grades 7-12. They include 3-5 lessons that can be completed ALL in one day. Yet, you can also spread them out to a lesson a week. We chose the latter. We like to take our time and have a deep discussion over our learning materials. In this review, I will discuss in depth the unit studies my 11-year old son chose to study: Labor Day and Veteran’s Day. I was thankful he picked the Labor Day Unit Study since our history lessons have included studies on Theodore Roosevelt. Plus, we’ve been reading his biography throughout the school year. This Labor Day Unit Study discusses the conditions and facts about our working history over a hundred years ago and how Labor Day became a holiday. There are three lessons for each level (K-6th grade and 7th-12). I chose the younger grade level since my son is just getting into 6th grade. The younger lessons’ reading is shorter and with more hands-on activities. If you have a middle or high school aged student, you can expect more detail along with extra reading, writing, and thinking prompts. For the written story, the teacher can read out loud or have their student read independently. I asked my son to read the story online and then I printed out the questions for the lesson. Before beginning, you’ll want to read the brief introduction which includes materials necessary to complete the hands-on activities. My son was surprised at how much work young kids from the age of 4 were expected to be completed on a daily basis! The chores he gets at home are no comparison to expectations in the 1800’s! I think he has learned to be more grateful since reading about living over 100 years ago! I’ll be sure to gently remind him of these lessons when he is fighting the urge to complain about doing chores! I was inspired by the real, vivid pictures included in the Labor Day Unit Study. I highly recommend you check this out if your kids complain about chores! It is quite fascinating to see how families lived during this time period. It brings our history to life and how blessed we are to live in this country today! For example, one picture shows a family from Italy embroidering together on a dirty floor. My son thought they were washing a blanket. Another image shows a family with really young children from ages 4 to 9 picking out nuts. One child is standing in the bag with her dirty feet and all of the rooms are filthy! No wonder the life expectancy was not high! With the hands-on activities, be confident that many materials are reasonable and easily accessible in your house! For example, one activity required a posterboard or printer paper to recreate the First Labor Day posters you may see posted outside in the city. Who doesn’t have crayons, markers, and paper?!!! Easy Peasy. It’s a teacher’s stress-free activity! Check out the Labor Day Unit Study here! This unit study is also set up the same way as Labor Day. It’s broken up by age range and stories are shorter with more hands-on activities for the younger ones. The emphasis is placed on our military history including (but not limited to) President Woodrow Wilson and Eisenhower. Your student will find out how Veteran’s Day started and the history of wars along with their presidents. You’ll even find contemporary facts that include President Barack Obama. Again, as a teacher, the images alone sprinkled throughout the Veteran’s Day Unit Study inspired me and are certainly worth a thousand words. This unit study was perfect for my son as he’s heard many stories from my husband on his late great grandfather’s military background as a WWII war pilot. This unit study brought new meaning to Veteran’s Day for our family as we enjoyed reading it together. Our history as a nation is truly remarkable and the stories and pictures brought those distant memories to life. We are so thankful that homeschooling allows us to peruse these stories and dive deeply into what makes our country so great. I’ll give you a sneak peek on these pictures. One picture shows a lot of young men in suits lined up to register for the Great War draft. I’m a bit puzzled why I saw one lady in line but maybe she was registering to be a nurse? Check out this the Veteran’s Unit Study to find out more! These unit studies are inspiring and quite enjoyable for students and teachers alike! Homeschool Moms can download and print out the exact pages necessary for your child to use for writing and read online or together as a family! Or, you can print out the entire set and put into a binder! They are also perfect for homeschool families who want easy and engaging activities, not dry and boring facts. Plus, these unit studies can be done all in one day on their respective holidays for a fun treat and activity! You can find out more about their fascinating and engaging products at a reasonable cost if you go directly to their website under “store” by clicking HERE. Don’t forget to catch them on social media using the links provided below. We have been working diligently with my daughter who has struggled with reading fluently and spelling for many years. I am thankful for the opportunity to use the Reading Intervention Programs from MaxScholar. This post is a review on a 12-month online subscription of the MaxScholar Reading Intervention Program. MaxScholar utilizes an Orton-Gillingham approach with an emphasis on phonics, phonemic awareness, reading comprehension, fluency, and writing to build reading skills. This program is specially designed for struggling readers such as dyslexic students, ESL students, and anyone with gaps in their reading skills. This online program contains three main modules: MAXPHONICS, MAXREADING and MAXWORDS. Here is a simple explanation for all of them. MAXPHONICS helps with mastering phonemes and letter sounds by using a variety of multi-sensory, online lessons that include videos, practice drills, and games. MAXREADING focuses on building reading comprehension using highlighting, outlining, and summarizing strategies. MAXWORDS builds vocabulary skills by using prefixes, suffixes, Greek and Latin roots syllabication and spelling rules to improve reading comprehension and fluency. In addition, you will find supplemental materials for extra practice in developing reading skills. MAXMUSIC gives your student the ability to read lyrics, play piano games and build reading and auditory skills. MAXVOCAB is the MaxScholar dictionary including fun definition and vocabulary games for both students and adults. MAXPLACES allows your student to go on an adventure around the world to explore 51 different locations as they read and answer comprehension questions. MAXBIOS introduces biographies of famous personalities on a timeline, enhancing organizational skills. Here is an overview of our student’s history. My daughter is in middle school and has always struggled with reading and spelling. I initially thought she’d be too old for this program but was pleasantly surprised they have something for all levels! My daughter has the phonics rules down well so we did not concentrate on the first module. Since it’s the “rule breakers” that cause confusion for her (ie spelling), we focused on what would help her the most at this stage. We decide the program which would help her the most is MAXWORDS! Why MAXWORDS? This module concentrates on teaching prefixes and suffixes of root words. This helps her remember how to spell and determine the meaning of a word by learning their Latin roots. Some of the questions were multiple choice, while other challenges asked her to match the words with their appropriate sentences. Initially, when she took the assessment test for MAXWORDS, she wasn’t pleased with her score. However, as time progressed, her scores progressed higher, which gave her the confidence she needed to move forward. We were both pleased with her results and loved the program. My daughter’s initial reaction to the program was less than desirable. She had gone through several programs for struggling readers and thought it would be similar. However, once she took the assessment test and got through the first set of words, she was determined to get a better score for the next set! So, the next day, I didn’t have a problem with asking her to get started on the next set of MAXWORDS! Woohoo, huge success! Here’s why I like the program and would recommend it. First of all, the entire program was SUPER easy to navigate. HUGE bonus in my book! Homeschool Moms are busy and do not have time to navigate through programs that are not well-designed. In addition, I absolutely LOVE how each MaxScholar program begins with an assessment test! Based on your child’s score, the program directs him/her to the appropriate level. What an awesome feature! Also, a suggestion would be to allow an intro video to pop up once explaining to the user or potential customer on where to start. The names of the three main cores do not indicate where to begin. However, I was able to easily determine the best module for my student since she was much older than the average ‘learning to read’ student. Plus, you can find out more about these three modules by going HERE. Overall, a great program for those who have struggling students in the reading or spelling department! Want to learn more? Request a 10-day FREE TRIAL by going to MaxScholar and signing up HERE. Or, you can get to know MaxScholar by connecting using one or all of the social media channels below. Most of us homeschoolers have heard of the popular The Critical Thinking Co.™. As you can imagine, when I had the opportunity to Critical Thinking Detective: Vocabulary , there was no hesitation! My son could talk when he was very young and hasn’t stopped since then! Since he is garrulous (talkative) and has an extensive vocabulary, it was a no-brainer to choose a vocabulary book. Critical Thinking Detective: Vocabulary is a 440-page book for students in grades 5 and up. Each lesson is a detective case, focusing on problem-solving and instilling new vocabulary in their speaking repertoire. Students are taught to use observation skills, reading comprehension, and deductive/inductive thinking skills to discover the meaning of vocabulary terms. First of all, here is some background on my younger student. My son is in fifth grade and is advanced in his speech and vocabulary. You may consider this supercilious (arrogant) or label me a gasconade (bragger), but I’m only setting the stage for your expectations. Since he is in the lower age range, it was a bit challenging for him. However, the workbook was cogent (compelling) with each mystery case and he typically chose the correct one. After he read the case and selected the correct culprit, he moved onto the vocabulary sentences. The student gets a list of challenging vocabulary words and is required to match them in the appropriate sentence. Honestly, I was a bit flummoxed (confused) with some of them, so it was no surprise that my son was nescient (clueless) at times. Yet, I feel it’s felicitous (appropriate) for his age and highly welcome the challenge! However, it’s the exposure to extensive vocabulary words that I appreciated the most. It took a little forbearance (patience), but we worked on the vocabulary words together since he is a younger student. I am hopeful these words will be rapt (absorbed) and subsequently (later) retrieved at another time. I did ask my son how he liked Critical Thinking Detective: Vocabulary and was commendatory (favorable) to it. He especially enjoyed reading the case and determining who was the guilty suspect. I was thankful he did not give an excoriation (scathing disapproval). We will continue finishing the lessons over the summer and consider other products from The Critical Thinking Co.™ such as Vocabulary Riddles Book 1 and Critical Thinking Detective Book 1. The Critical Thinking Detective: Vocabulary is available in paperback or ebook format, both at an affordable price of $8.99. Yet, you can save even more money using the coupon code below! Thanks to Critical Thinking Company, they are offering my readers a coupon code for a discount of 15% off PLUS Free shipping! Use Coupon Code TOSCREW18. Please note it expires 12/31/2018. In addition, here is a FREEBIE as a $75 Value! Check out how you can get your freebie by clicking on the link below and then choose the appropriate grades. Sign Up Now! If you are still on the fence about whether this a great product for your homeschool students, check out The Critical Thinking Co.™ on social media and don’t hesitate to ask questions!